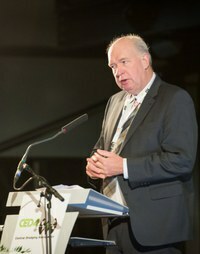 Professor Cees van Rhee of Delft University of Technology, and chair of CEDA Dredging Days 2017 Papers Committee, outlines this year’s event. The keynote address, by Mr. Frank Verhoeven, President of the International Association of Dredging Contractors (IADC), will focus on the most important developments which have influenced the dredging industry to date and decisive drivers of this market in the future. The traditional academic session will feature young professionals as they present high-quality papers on numerical modelling and experimental validation of sediment water systems for various applications like plume dispersion and liquefaction of seabed sediment. 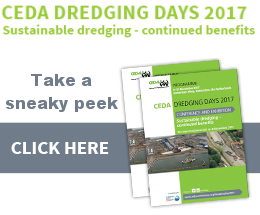 Following the highly successful interactive session at the 2015 Dredging Days, CEDA’s Dredging Management Commission will be hosting a session focussing on contractual issues, and how to avoid them. Using an engaging theoretical case study, groups of participants, supported by a team of experts, will explore issues, share insights and discuss solutions relevant to some of the most pressing and commercially important aspects of delivering real-life dredging projects. Young CEDA will again host the fast-paced Pitch Talks in the PechaKucha 20x20 style. This is always a great opportunity for graduate students, and young professionals, to present their work to more experienced professionals and get valued feedback. Thanks to the sterling efforts of the authors, and the Papers Committee, we’re confident that we’ve put together a stimulating programme that will bring you up-to-speed with dredging’s latest developments during this important two-day event. The Papers Committee hope to see you there.